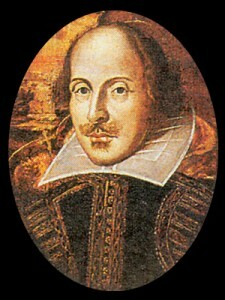 Sir William Stanley and numerous other Stanleys before him, held an avid interest in the theatre. In the summer of 1587 William’s father Henry, the 4th Earl, arranged a festival of plays at Lathom which lasted at least two months. Many great actors such as Richard Burbage, William Kemp, Edward Allen and established theatre groups including the prestigious ‘Queen's Men’, Ferdinando, Lord Strange's Company and ‘Derby’s Men’ took part. It was here at the festival that Shakespeare’s early connections with Lathom possibly first commenced. Some experts believe that William Shakespeare spent his formative years at Lathom House tutoring the Stanley children and writing his early works. The bard's close association with Ferdinando, Lord Strange, meant that Lathom played a leading role in shaping the greatest period of English drama. What made the Elizabethan theatre all the more remarkable was that it was fashioned in a climate of fear. Shakespeare was only too aware of the witch-hunts against Catholics, for his family was on the list of recusants and being hounded. Just one reason, perhaps, for heading north to Lancashire and its wealthy and protective pro-Catholic families. Act two of this Lathom drama-saga, centres on the Bootle-Wilbrahams who seized every opportunity to stage quite sophisticated entertainments either inside or outside the Leoni designed Lathom house.The thespian talent came to full flowering in the third Earl, ‘Ned’ Bootle-Wilbraham. He created the ‘Lathom Club’ with its well-designed stage, as a social centre for his estate workers and local families. The many stories of Ned’s hedonistic lifestyle tends to obscure the fact that when he died his small theatre lived on. The estate had been sold but it was stipulated that the club belonged to Lathom to be used a community hall. For a while it was in the hands of trustees, with the Women’s Institute helping to furnish it. This included welcoming young Liverpool evacuees seeking shelter from the Blitz. In the 1950’s the WI took over from the Trustees and the curtain, as it were, was raised on Act Three. A WI drama group flourished for many years, its members entertaining drama festivals and concerts which were staged for everyone, just as Lord Lathom had intended. 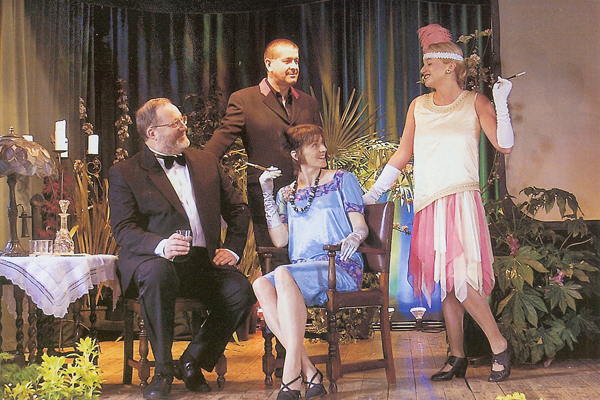 Lathom Park Trust has staged two World Premiers ‘Lathom Glitterati’ and ‘Bright Young Things’ based on the writings of the 3rd Earl’s thespian friends – and on the very stage where they actually performed.